The Corvette GT1 looks sort of like a streetable version of the Corvette C6.R race car. It isn't. 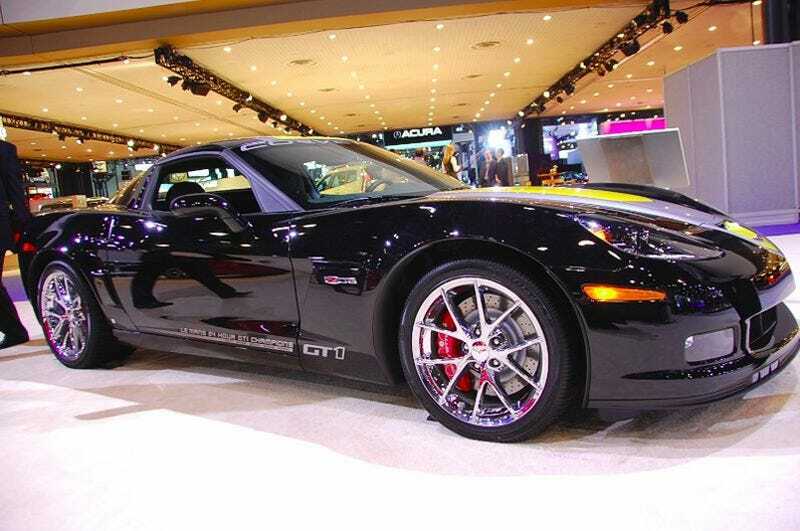 The Corvette GT1 Championship Edition is almost entirely a commemorative paint package designed to move some more C6 Vettes and celebrate the success of Corvette Racing. Available in basic coupe, convertible and Z06 trim, the addition of all the graphics, wheels, spoilers and 'Jake' logos only costs $2,350. For a limited-edition run with only 600 set to be produced it's actually quite a bargain — especially considering non-Z06 models get the Z51 performance package thrown in as part of the package deal.